Here are the best Wells Fargo credit cards of 2019 according to our experts at Bankrate. Below you can read our editors’ reviews and compare credit card offers. 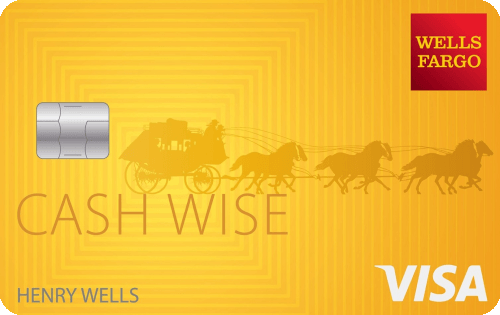 The Cash Wise Visa Card is a straightforward flat-rate cash back credit cards. You will earn 1.5% cash back on all purchases, and an additional 0.3% cash back on qualifying mobile wallet purchases for the first 12 months of card ownership. That means that if you typically use your phone to pay with systems like Google Pay or Apple Pay, you will get an additional boost to your standard cash back rate. One of the most unique features of this card is that, if you set it up to pay your monthly mobile phone bill, you will get up to $600 in protection against covered damage or theft on your device (subject to a $25 deductible). With no annual fee, this card is a solid choice for a consumer looking for a straightforward cash back credit card for general spending. 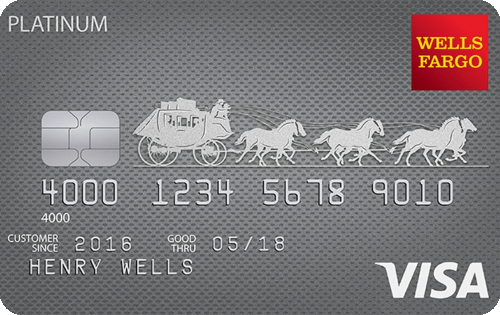 The Wells Fargo Platinum Visa card's long 18-month 0% introductory APR period can help you consolidate and pay down your debt while incurring fewer interest expenses. This card does charge a balance transfer fee, for an initial 120 days introductory period the fee is reduced to 3% of the balance transfer amount (then 5% after 120 days). For no annual fee, and favorable balance transfer terms, the card also offers a host of added perks like cell phone protection (conditions apply).